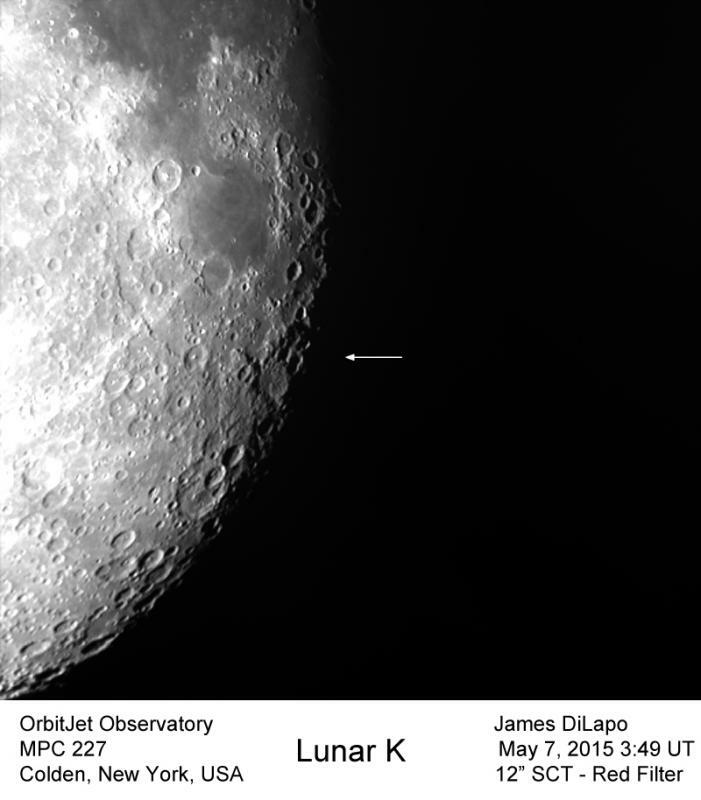 On 2015-01-08 21:51h UT a Belgium observer reported his observation of the ... Lunar K.
It's near Reichenbach crater and was observed on this date at phase 41.788 and illumination 87.8%. It was observed again on 2015-Feb-07 18:35 UT phase 41.1788 illumination 87.6% and on 2015-Mar-09 12:54 UT phase 41.1727 illumination 87.6%. I was also able to image it last night on 2015-05-07 03:48 UT (11:48 PM EDT 5/6/15). My observations began at 11:28 PM when the "K" was beginning to form and ended at 11:50 PM with a fully formed "K" still prominently visible on the computer screen. Edited by *skyguy*, 07 May 2015 - 08:37 AM. Another lunar letter to look for!